The Gothic revival style continued to be the main idiom for church building in the late 19th century. 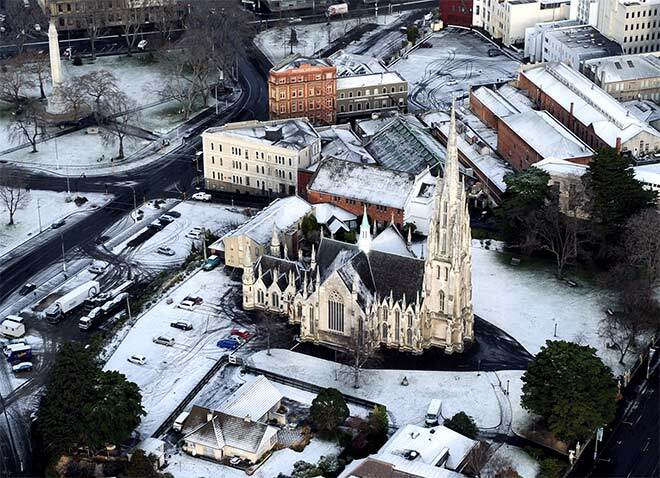 Dunedin's First (Presbyterian) Church remains the most splendid example. It was designed by the young Melbourne architect Robert Lawson, who crossed the Tasman Sea to oversee its construction. This began in 1867, and the church opened in 1873. It was built of brick and faced with Ōamaru limestone. The dominant feature was a tower and soaring spire. A series of turrets, pinnacles and gables also directed the eye upwards (towards heaven). The church is shown here in 2006.